She wasn't, according to herself. There's a video doing the rounds this week of Rihanna doing something dodgy at Coachella last weekend. Here's the footage that's sparked some controversy. 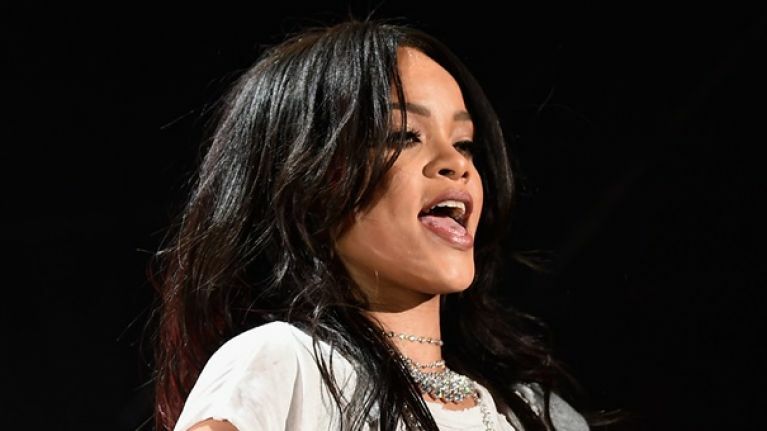 A lot of entertainment outlets in the States alleged that the singer was taking cocaine, but Rihanna strongly denied the claims saying it was actually a joint. She then posted this cheeky picture on Instagram.